If you or your child have been arrested for drunk driving or drug-related offenses in New Jersey or Pennsylvania, it is crucial that you contact a local criminal defense attorney as soon as possible. Bucks County D.U.I. attorney John M. Kenney has been successfully representing clients in Pennsylvania and New Jersey since 1983. He has extensive knowledge of the juvenile court system and D.U.I. and drug-related laws and can help you obtain the best possible outcome in your case. Unless you have extensive legal knowledge yourself, the details of your case can be very difficult to understand. The earlier you contact Bucks County D.U.I. attorney John M. Kenney, the sooner he can begin protecting your rights. In order to maximize your chances of getting reduced charges or a dismissal, it is critical that you and your attorney take a proactive approach to your case. On your end, this means providing your criminal defense lawyer with all of the details of your arrest and any evidence that you think may help your case. As your attorney, John M. Kenney will conduct a thorough investigation of his own, examining the prosecutor's evidence against you and researching cases similar to yours. He will then suggest a course of action. What the government would have to do in order to prove guilt "beyond a reasonable doubt"
If your child has been arrested, he or she will be facing the juvenile court system. Juvenile court has different rules, procedures, and goals than adult court. Only an attorney familiar with the intricacies of Pennsylvania's juvenile court system can ensure that your child's rights are protected. 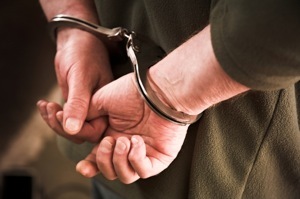 As a defendant in a criminal case, you will have to make important decisions about your own defense. In order for you to do so, you will need an experienced attorney who can provide you with a comprehensive overview of your case. Pennsylvania D.U.I. lawyer John M. Kenney will take the time to answer all of your questions and provide you with a thorough explanation of your options. Once you have decided how you would like to proceed, Mr. Kenney will work to have the charges against you reduced or dismissed or when necessary, provide you with an aggressive defense at trial. For a clear explanation of your legal rights and a forthright assessment of your particular circumstances, please contact Bucks County attorney John M. Kenney for a free consultation. You may reach him by phone at: (215) 547-3031, or by filling out and submitting our online "Contact Us" form.